The church of St. Candida and St. Cross at Whitchurch Canonicorum is probably 11th century in origin, although most of the fabric today is 13th century. As well as the remains of Admiral Sir George Somers (see below), the church also contains the remains of St. Candida (or St. Wite) herself (probably an eighth century martyr), and is one of only two churches in England to contain the remains of its patron saint. In the graveyard is the tomb of the Bulgarian dissident Georgi Markov (famously assassinated by an umbrella on Waterloo Bridge). View of the church from the entrance to the churchyard. 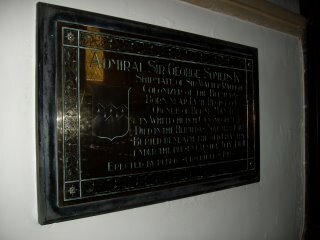 Sir George's plaque in the church. 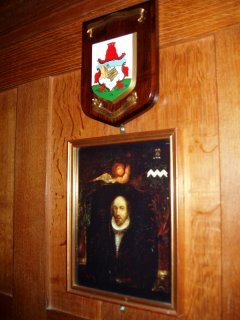 Shipmate of Sir Walter Raleigh, coloniser of the Bermudas, born near Lyme Regis 1554, owner of Berne Manor in Whitchurch Canonicorum, died in the Bermudas November 1610, buried beneath the old Chantry, under the present Vestry July 4th 1611, erected by public subscription 1908. 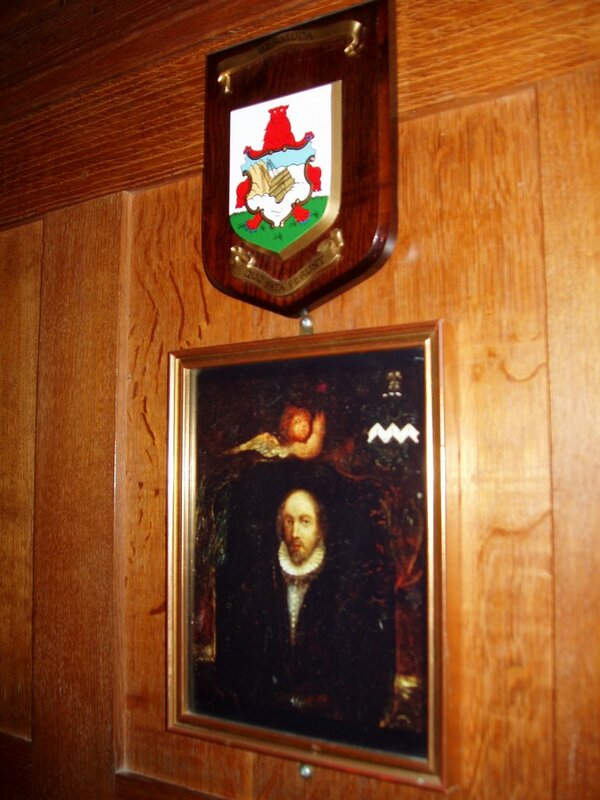 A picture of Sir George Somers, together with the coat of arms of Bermuda, located by the door to the Vestry. thank you for a lovely interesting site. 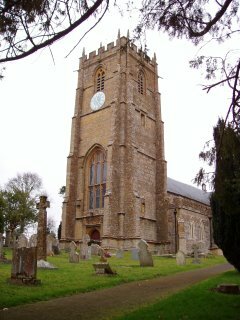 I have a Dorset friend who sends me pics of Dorset churches. I was able to stay in Puddletown in 2005, and it was just wonderful to be able to walk where thomas Hardy had been and to visit the church of st Mary. Could someone tellme the meaning of Canonicorum - is it something to do with canonisation - help please. Whatever it means, its a lovely name. Canonicorum means 'of the Canons'. Canons in this sense were priests who lived together under a rule (eg of poverty).